Is coffee good for your health and well-being, or should it be avoided at all costs? 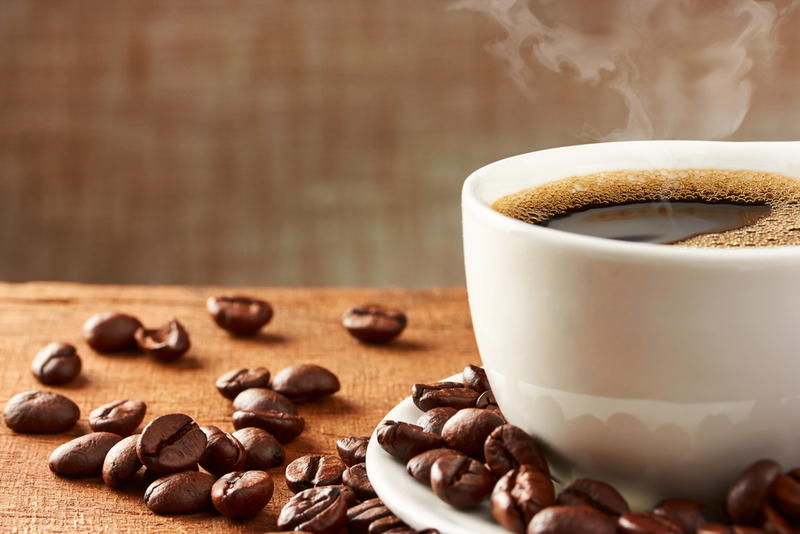 Read on for a quick look at the pros and cons of coffee-drinking. 1. Coffee awakens the senses. The smell of a fresh brew early in the morning is a great way to start your day! Even the anticipation of a fresh cup can clear your head. It is hard to argue against the perk many enjoy in the A.M. due to this drink’s mind clearing, awakening properties. 2. Coffee contains health qualities. Believe it or not, research suggests that moderate consumption helps to reduce the risk of heart attacks. Studies also show that drinking several cups a day actually reduces the health risk of diabetes by 30-50%! 3. Coffee gives life dynamic variety. There exists an abundance of wildly diverse types and flavors — each rich with delight. Plus there are a variety of brew methods — a good strong brew is perfect first thing in the morning, and a lighter brew can be best for a cup later in the day! The vast array of great flavors from around the world allows for a dynamic, pleasurable cafe experience. 1. Coffee is often attacked by the news. Some pop culture “experts” take a radical stand against coffee-drinking. Recent articles read, “this dangerous drink causes cancer of the esophagus,” and that it “greatly impairs the nervous system,” but these perspectives are not the norm. Give honest coffee critics a fair shake, but do not waste your time refuting passionate anti-coffee fanatics! 2. Coffee can be a stimulant with an addictive affect. True, this drink is indeed a stimulant, and too much of a caffeine stimulant is not good for your health. Although excessive consumption is a legitimate concern, problems come with excessive consumption of anything! Most of coffee’s health “disadvantages” are the result of long-term, heavy drinking. 3. Coffee is commonly taken with large amounts of sugar. Many people do drink this with ample sugar, which of course is not beneficial — too much sugar can cause a variety of health and teeth problems. However, coffee itself does not inherently cause excessive sugar consumption, so do not make it your scapegoat. 4. Excessive consumption affects your teeth. At least cosmetically, this drink is not good for your teeth, often leaving a “yellowed” affect. Lots of coffee can cause someone to need their teeth cleaned more often than the average non-coffee drinker! If you are a heavy coffee drinker, be sure to brush and floss regularly to keep your teeth white and sparkling. Wrapping up this brief look at coffee’s pros and cons, you should recognize that excessive consumption creates a few legitimate concerns. However, avoiding excessive consumption can alleviate most of these! When you drink it responsibly, coffee’s joys can outweigh any disadvantages. So whether you drink it black or with cream, weak or strong, home-brewed or from the cafe, enjoy your coffee, and enjoy it to the fullest. Cheers!